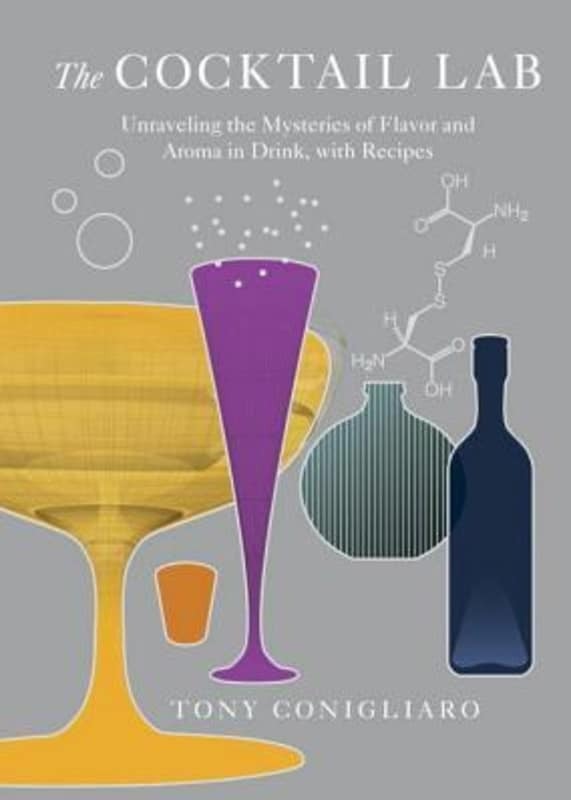 The Cocktail Lab: Unraveling the Mysteries of Flavor and Aroma in Drink, with Recipes by Tony Gonigliaro is a very high level detailed look at numerous cocktail components and methods along with fancy cocktail descriptions and recipes. All in all it is an interesting book on the chemistry and theory of cocktails. The Cocktail Lab includes a comprehensive balance of classic drinks along with Conigliaro's innovative modern concoctions. The Cocktail Lab cookbook is a real treat! The right cocktail is the perfect combination of scent, color, sound, and taste. Utilizing a broad spectrum of influences--including gastronomy, perfumery, music, art, and design--Tony Conigliaro has established himself as one of the most innovative and thought-provoking mixologists in the world. He is the award-winning bartender behind London's 69 Colebrooke Row, one of the top-rated bars in the world, and the co-founder of The Drink Factory, a London-based experimental drink collective. Tony also teaches master classes showcasing the latest and most progressive techniques in the bar industry. Besides being very informative, The Cocktail Lab is a visually extraordinary book as well. You'll find covers made in old school way, still-life pictures and sketches made in pastel, all beautifully presented on high quality glossy paper. The Cocktail Lab is a beautifully designed collection of mixed drink recipes ranging from simple to the really complex ones prepared by cocktail masters. For each cocktail included are how-to-make instructions, ingredients, an explanation of cocktail's development. If you are a home-bar enthusiast wanting to serve your guests a simple cocktail or you are in search for a great gift for someone in love with cocktails, you can't miss with this one. The Cocktail Lab is both attractive just to look at it and full of information if you want to emerge into cocktail world.